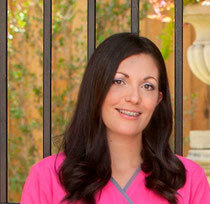 Orthodontic treatment is not only for kids and teens but also for adults. In fact, about 25 percent of orthodontic patients are adults! Many adults are electing orthodontic treatment for themselves because they want to improve their appearance, bite, and oral health. Orthodontic treatment moves teeth in the same way for a 75 year old as it does for a young kid. If orthodontic treatment is recommended, there are a number of options available today that makes the treatment less noticeable than it was in the past. We offer a full array of orthodontic treatment to meet the individual needs and desires of each of our adult patients. From traditional metal braces and tooth colored braces to clear aligners, we are confident we can help you achieve and maintain the beautiful, healthy smile you’ve always dreamed about. Don’t ever feel it’s too late to enhance your smile. Schedule your complimentary consultation today and let us help you start your journey to a beautiful, confident, and healthy smile!